Every agency must find – and eventually convert – leads. Lead generation is crucial regardless of your agency’s size or industry. It truly is a numbers game. As you hone your proposals and sales skills over time, you’ll turn a greater percentage of your leads into paying customers. But that can’t happen with zero leads! Some agencies just scramble for leads whenever their cash flow dries up. They don’t ever take the time to set up a sustainable system to generate leads consistently. Laying this foundation takes some effort and creativity up front, but the investment is more than worth it. The payoffs? More consistent income. Less stress. The ability to be pickier about which clients you decide to work with. Ready to build your own lead generation system? When visitors come to your website, most of them won’t be ready to hire you… yet. High-pressure sales tactics are hated with good reason. They make people uncomfortable at best and downright defensive at worst. Agency websites that use them might make a few sales, but they’ll leave a foul taste in the mouths of most. Instead of trying to pressure reluctant visitors to become customers right now, it’s much easier (and more sustainable) to ask for a smaller commitment. Someone may not be willing to buy, but happy to offer their contact info so you can follow up with them later. This might sound like a consolation prize. It’s actually a huge win. Offering contact info is the digital equivalent of someone “raising their hand.” They self-identify as a lead instead of a random visitor. Before we dive into the nuts and bolts of building a lead generation system, let’s discuss the tools you’ll need to get started. It’s likely that you already have a website for your agency. After all, how else will potential clients view your previous work and contact information? You probably have a website for your agency already. After all, how else will potential clients find you online and view your previous work? Successful online lead generation starts with a platform where you can send visitors. It’s on this platform where you’ll turn visitors into leads, and, eventually, buyers. If you don’t yet have a website selling your agency’s services, that should be your first step. Start with this article to guide you. 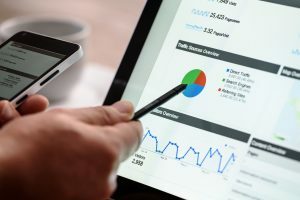 Once your website is set up and ready to rock, a variety of marketing tactics can help send visitors to your platform and find out more about what you offer. In digital marketing lingo these people are often referred to as “traffic.” With smart lead generation techniques, a decent chunk of these visitors will become leads. A chunk of that chunk will ultimately become paying customers. There are a lot of shiny objects in the digital marketing world. Which explains why so many agencies try to do all of these lead generation techniques and end up spreading themselves too thin. Picking just a couple traffic channels will help you get the traction you’re looking for without driving yourself crazy. Once you have a website and traffic coming your way, let’s move on to setting up a lead generation system. If you’re feeling overwhelmed, outsourcing your online lead generation is always an option. There are a host of tools and lead-generation services available that allow a more hands-off approach. LeadFuze. Using a database of over 50 million contacts, this software allows you to search for leads by title, job function, location, and much more. Then you can follow up with personalized email messages automatically. Leadformly. 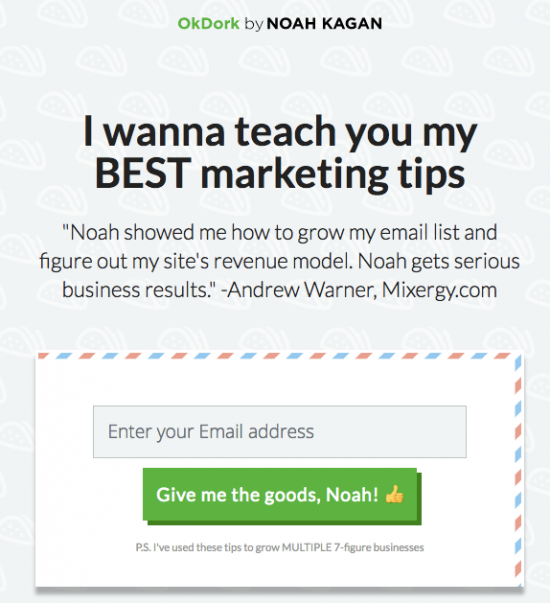 This tool helps you build high-converting lead generation (opt-in) forms. 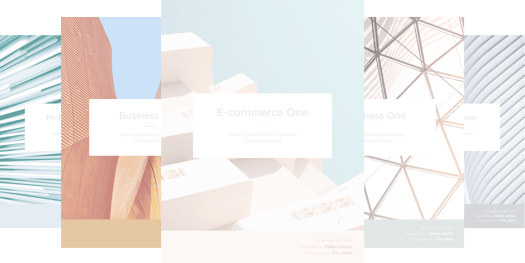 Leadpages. This tool helps you build high-converting landing pages and opt-in forms without any coding knowledge. Unbounce. Build, test, and optimize custom landing pages and opt-in forms with a simple drag and drop interface. A lot of agencies simply don’t have the money to outsource lead generation, or they prefer to handle it themselves. The rest of this article focuses on the DIY approach. You’ve probably seen “bait pieces” (also called lead magnets) offered across the internet. Some websites offer access to a free course, a PDF or report, or even a free trial. Others may give away a discount or sample. But these bait pieces have a hook attached. While the websites that use them are willing to give away something valuable, they’ll ask for contact information in exchange. At a minimum, they’ll ask for your email address so they can follow up with you later. 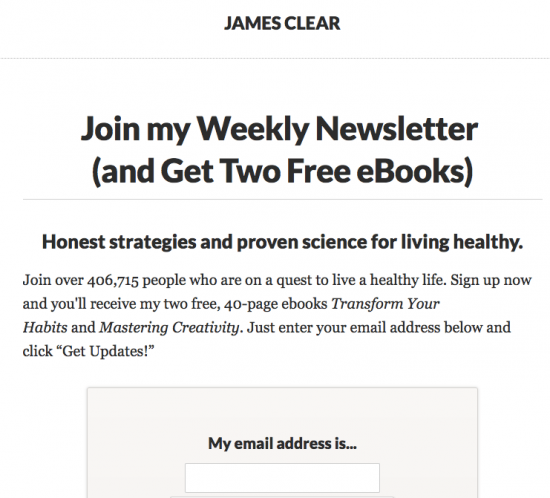 In this example, you’re offered a free sample proposal to help more clients in exchange for your email address. Once someone fills out the email field and clicks “Send it to me,” they essentially become a lead. Leads are better than traffic because you can follow up with them, build rapport over time, and eventually earn their business. If you do a Google search, you’ll find very few agencies use bait pieces for lead generation. Which means the opportunity is wide open for your agency! First, put yourself in a potential client’s shoes. Say you’re looking for a graphic design agency to help you create a new logo. You do a Google search and hone in on a handful of potential agencies. You view their websites and narrow it down to two. Agency X has a header with their phone number and a call to action that says “Call us for your zero obligation consultation!” You’re tempted… but now isn’t a good time for you to call. But, you’re suddenly interrupted by an urgent phone call! You close your browser (including both Agencies’ tabs) and delay your search for a graphic designer. Agency X probably lost you forever. You closed their website, they don’t know who you are, and they have no way to follow up with you. But Agency Y offered a bait piece. You downloaded their guide and now they have your email address. They can follow up with you until you’re ready to buy. Over the next few weeks, Agency Y emails you a few more tips about creating your logo – colors to consider, font options they recommend, and so on. By the time you get back to your logo project, you know you want to work with them. Agency X becomes an afterthought. So, my question to you is: If you own or work for an agency, wouldn’t you rather be Agency Y – the one who ultimately got the project? I know I would. Assuming you would too, here are six things to consider when creating your agency’s bait piece. 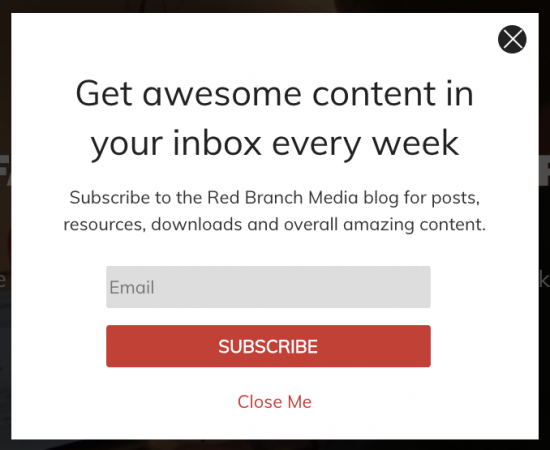 People won’t opt-in to your bait piece if it isn’t enticing. So step one is to consider your target market. What is their most-pressing business question or problem? Then, create a bait piece that answers that question or solves that problem. If you have a copywriting agency, your potential clients are are looking for help to get more conversions. 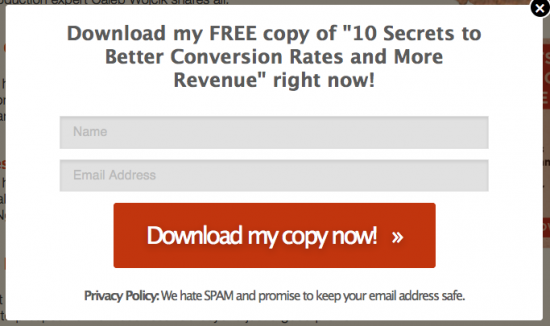 A report called “10 Easy Ways to Increase Conversions” could work really well. There’s no need to give away your best copywriting secrets. You can save those for your paying customers. But your bait piece can – and should – be valuable all on its own. Potential copywriting clients probably want to know about concepts like social proof, using “you” instead of “I,” what to look for in hiring a pro copywriter. Your bait piece is the perfect opportunity to fill them in. While this opt-in probably does okay, it’s not a true “bait piece.” It doesn’t offer an instant download. Instead, it offers expert advice over time. To make it a bait piece, they could repurpose some of their emails into a single PDF of 7 marketing tips – something people can download right away. Then they could still follow up via email afterward. When it comes to lead generation, it’s tempting to optimize every little piece of the process as much as possible. After all, doesn’t that get you the most leads? However, depending on the size of your agency, you might be able to handle only a few new clients a month. If that’s the case, you’ll want the highest-quality leads coming into your pipeline. By asking for more information up front. I know that sounds odd, but I’ll explain. Internet marketers often limit the form fields to just one: email address. They do this because an email address is the bare minimum they need to follow up. They’re going for quantity because the more leads they have, the more of them become customers. But, if your team can’t handle a flood of leads – particularly low-quality leads – you may want to increase the amount of information you ask for. Studies have found that, if you ask for more info – such as name, address, email address, and phone number – you’ll get fewer leads. However, those leads will be more serious and more qualified. Which is especially important if you spend time on your follow-up. On the other hand, if your follow-up process is automated– and you can handle a lot of new customers at once – you could limit the information you ask for to improve your conversion rates. Part of what makes your bait piece compelling is the offer, the words around your form. Which of these sounds more compelling? The second option, of course, because it does a better job of conveying the benefits of downloading. Of course, with this method, you’ll want to change your bait piece from time to time… maybe every month. Once you “retire” your bait pieces you can always sell them as products on your website to build a passive income for your agency. 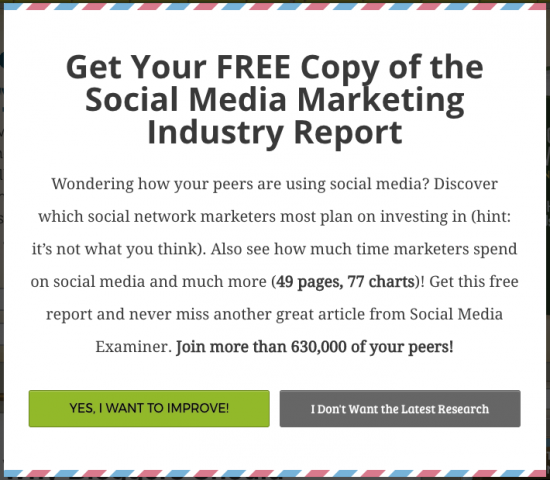 Another way to increase your opt-ins (or leads) is social proof. This shows your visitors that others trust you, making them more likely to do the same. You could mention how many others have downloaded your bait piece, how many fans you have on Facebook, how many followers you have on Twitter, your Klout score, or even the number of email subscribers you have. Notice the testimonial from Andrew Warner and the number of readers/subscribers in the above examples? Those are both elements of social proof. While it’s great to send traffic to your website, it’s better to send it to a targeted landing page. So, when possible, make a page specifically designed to convert visitors to leads. On this page – commonly called a “landing page” – eliminate all other distractions so your visitor is more likely to sign up for your bait piece. After the visitor enters their information and clicks “Submit,” you can then direct them to your main website or a “Thank you” page that builds rapport further. Remember, most of your visitors won’t be ready to buy the first time they find your website. It’s often better to use lead generation to capture their info and follow up over the long term. By adding an opt-in form and bait piece yo your website, you’ll have an automatic method for capturing qualified leads – people you can follow up with later and turn into customers.